Here's a quick entry regarding Monarch butterfly caterpillars, diseases affecting them, and ways of minimizing threats. 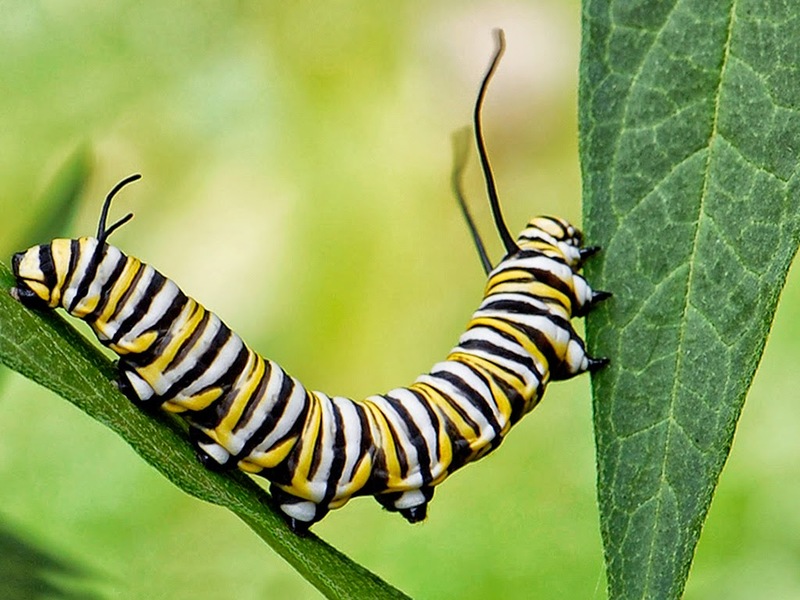 It's estimated that only one out of one hundred butterfly caterpillars reach maturity to become winged adults. Losses include diseases, parasitism, and predation.